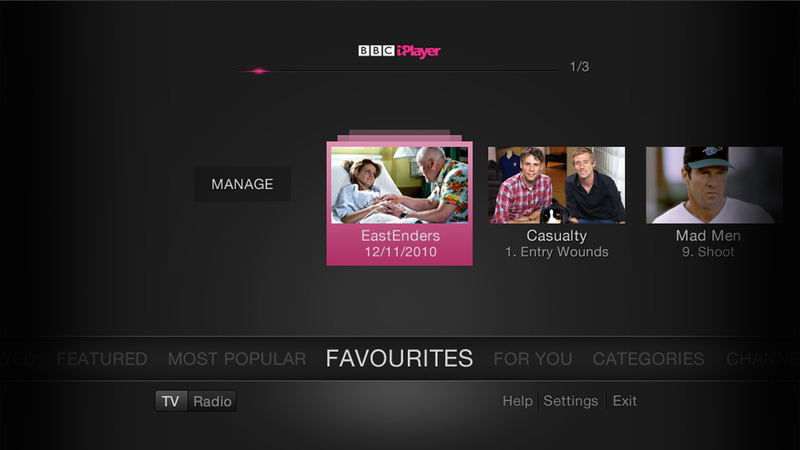 The BBC today launches a brand new version of iPlayer that is tailored specifically for TVs. BBC iPlayer is a video-on-demand service, offering UK users the chance to catch up on TV and radio broadcasts they have missed, as well as watch and listen to live streams from across BBC’s various channels. The service is available on computers, Internet TVs, mobile phones, tablets and games consoles. 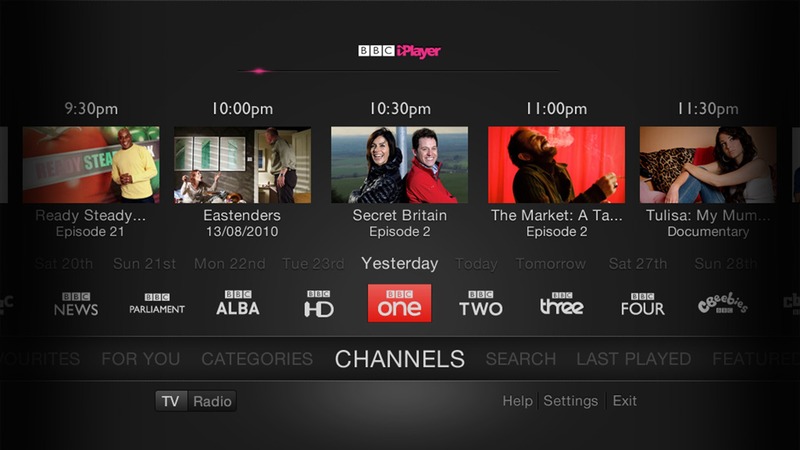 The BBC iPlayer first arrived on TV screens with Virgin Media back in 2008, but the new version is designed specifically for the living room, and includes a simplified, TV-friendly interface that is more akin to navigating a traditional TV with a remote control. Interestingly, you can also ‘search’ by typing into an on-screen keyboard with the remote control, and the programmes begin to appear in real-time with each letter that you type, much in the same way as Google Instant works. Another addition relates to ‘programme availability’ messages. If a BBC broadcast can’t be made available on iPlayer, perhaps due to not having sufficient broadcast rights, it still shows up, but it says it’s ‘not available’. Or, if a programme simply hasn’t been added to the library yet, it will say ‘coming soon’. The new version of BBC iPlayer for TV also has what can be described as channel-flipping. Basically, if you begin watching a progamme, and it’s the wrong one or you change your mind, you no longer have to return to the main menu interface, you can browse content whilst you’re watching a particular show. BBC iPlayer is currently available on more than 300 connected TVs and Blu-ray disc players. 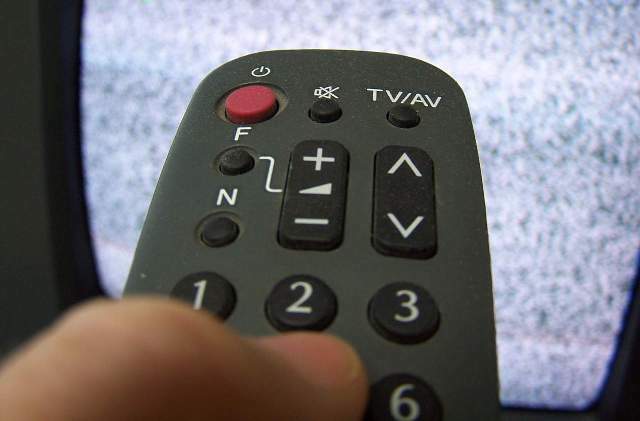 A connected TV is classified as any device that delivers programmes over the Internet to a television set, including IPTV (Pay-TV) platforms such as Virgin Media/BT Vision, Games Consoles, Freeview HD and Freesat HD set-top boxes, “Smart” Internet-ready TVs and set-top boxes such as Boxee. The new BBC iPlayer for TV will initially be limited to Sony’s PlayStation 3, though it will be rolled out to many more platforms over the next few months. Danker also gave us the lowdown on the BBC’s plans for iPlayer over the next year and beyond, which you can check out here. Read next: 20% of the UK online population use iPlayer. Here's how the BBC plans to grab the rest.